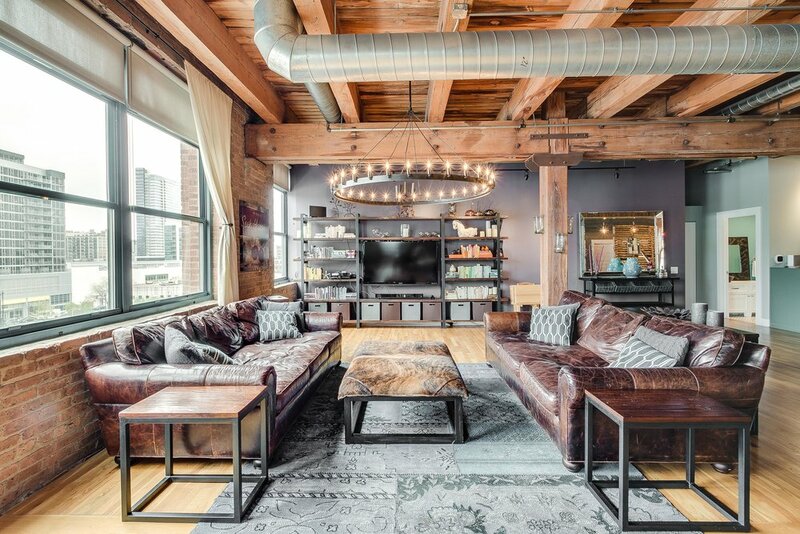 Sprawling single level Northeast corner timber loft. Currently set up as a four bedroom, four bathroom unit with two master suites, but could easily be reconfigured as there are no load bearing walls. 70' of East facing windows offer tons of light and incredible skyline views. Two indoor parking spaces included.